Ease truck loading and unloading with this rugged dockleveler, engineered and designed for minimum maintenance. Latest design features ensure smooth operation - pulling recessed chain releases deck allowing it to go up. 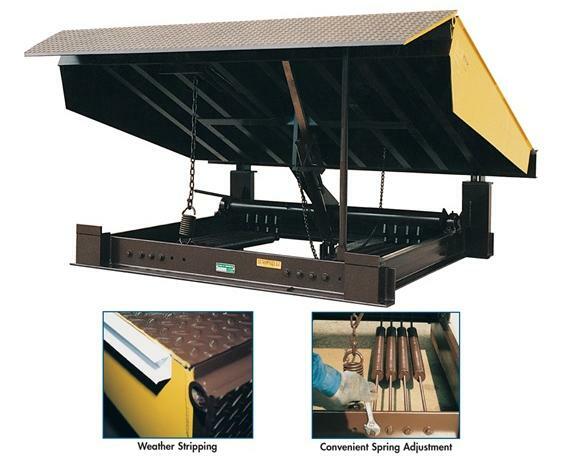 Includes two laminated bumpers 10" h. x 14" d.
Springs lift dock through a graduated cam ensuring a uniform vertical force. Easy walk down. All heavy duty construction features. Platform is 1/4" non-skid checkered plate (55,000 PSI) steel. 6" structural steel support under-structure for long life. Lip is 16" long with 55,000 PSI steel. Includes steel toe guards on both sides, flush with platform edge. The most dependable dockleveler on the market today. 20,000 lb. load capacity. Capacities to 50,000 lbs. available. Contact for details. FOB Shipping Point. 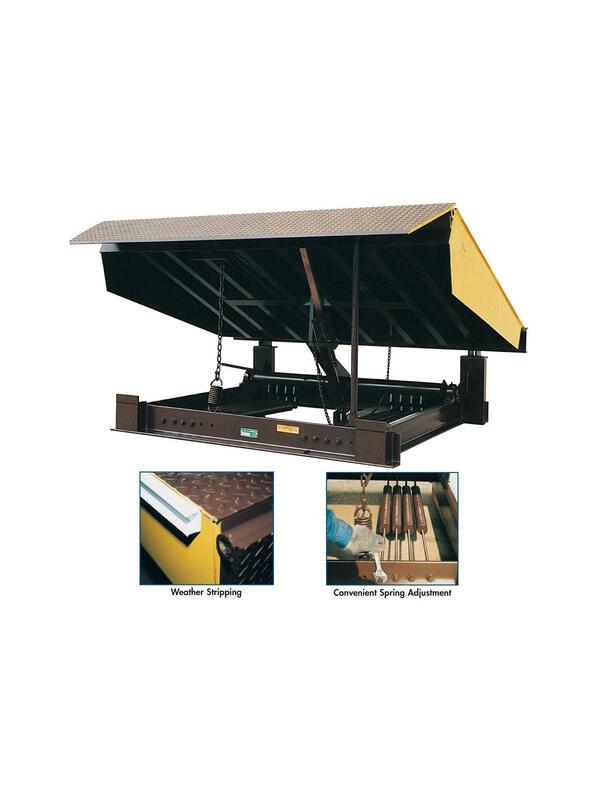 See Related Items tab for Mechanical Hinged - Lip Dockleveler Option.